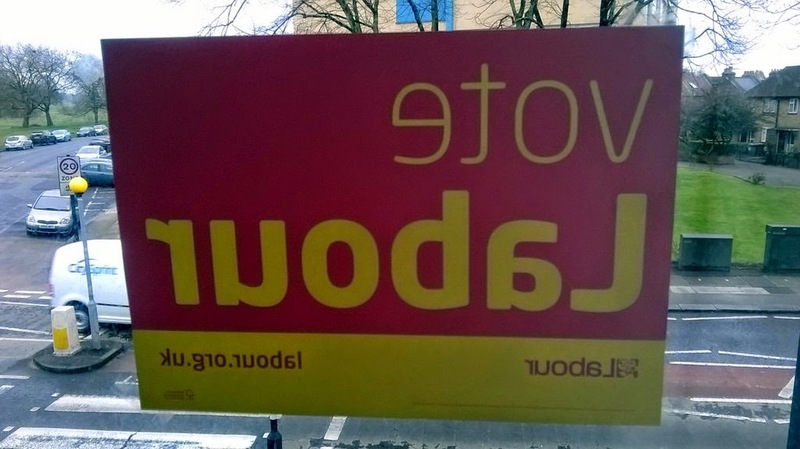 My 2015 General Election "Vote Labour" window poster has just gone up. Now, I have my doubts that window posters actually change people's voting intentions. If there are many of them in an area they can portray presence and local support but I think their main role in modern political discourse is to please our activists and annoy the opposition. UPDATE: I have just signed up for a Labour Party Garden Board. You can also apply for window posters.